If you’re not lucky enough to live on a coast and have to buy your seafood inland, your choices are limited to supermarkets and maybe a fish market in a downtown strip district. I’m a writer, so why aren’t I writing my book like I did Something Fishy in Manhattan? Because sometimes I get stuck writing and my mind strays to what kind of FISH or SEAFOOD I’m going to make for dinner. I started my research by searching our supermarket’s weekly ad. A number of specials were IQF Salmon, fresh farm raised tilapia, and Alaska Sockeye Salmon: wild, natural, and sustainable; previously frozen. What I didn’t know until I looked it up was that IQF wasn’t the company that provided the salmon but stood for Individually Quick Frozen instead. I had a lot to learn about fish, especially where it comes from. I’d finally gotten used to swai being sold at Walmart – it’s a “river-farmed catfish” of the Pangasius family – but according to the Monterrey Bay Aquarium in California (an authority on seafood and supplier to Whole Foods) the swai could be from the Mekong Delta or the Mississippi Delta which could make a difference in whether I bought it or not. Clearly I needed to research some more and find out the difference between farm raised and wild caught seafood. 50% of seafood worldwide is farm raised, according to NOAA (National Oceanic & Atmospheric Administration), by aquaculture. 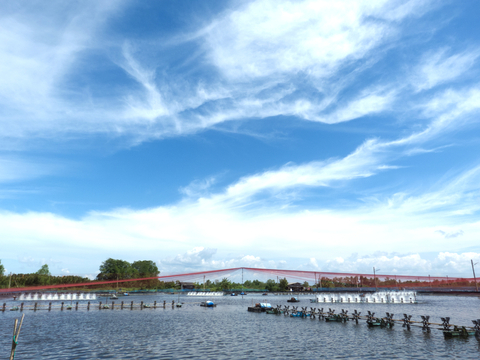 The water looks clear and on the right, aerators add oxygen and provide flow. 50% of the world’s seafood, of course, is wild caught. I sometimes hesitate to buy it because you hear about higher mercury levels but the truth is that the health benefits (omega-3 acids) far outweigh the risks, and because the fish are not confined and swim freely they are less fatty than most farm-raised ones. That Organic Girl recommends wild caught seafood even though it can be 3 to 4 times more expensive. Incidently, there is not yet a standard for organic seafood so it is an incorrect usage if you see fish labelled “organic”. I love sea scallops. I’m leaning toward getting the Hokkaido ones because we were just in Japan a few months ago. 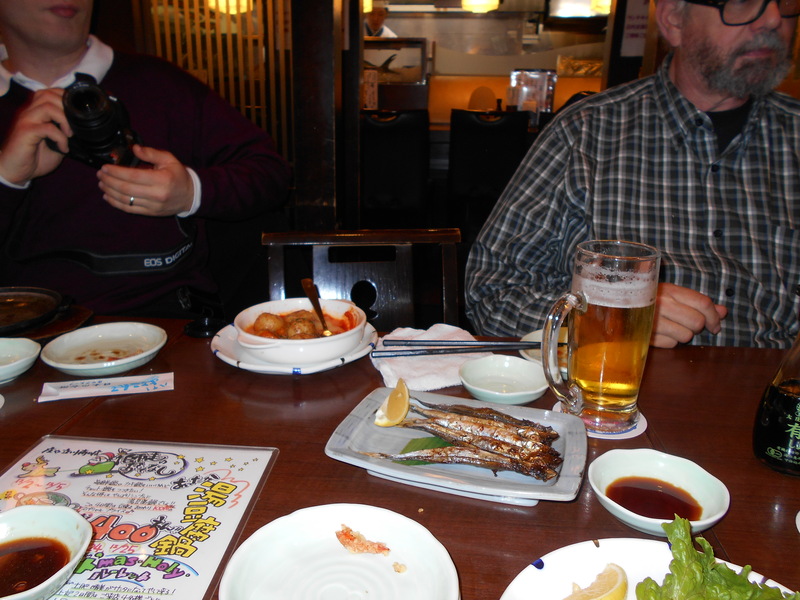 We ate all kinds of fish, cooked and raw, and had no idea where they came from. 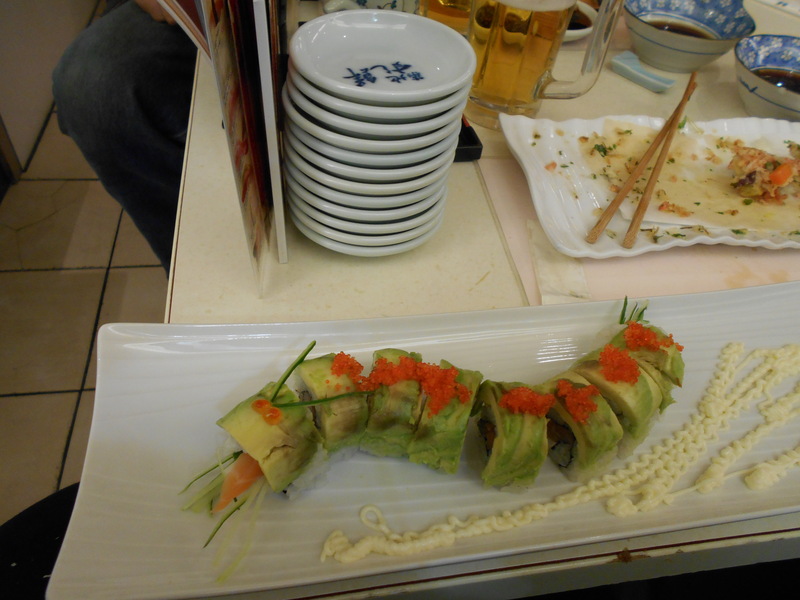 Everything was delicious including the green caterpillar (avocado and fish sushi) and ayu fish pictured below. 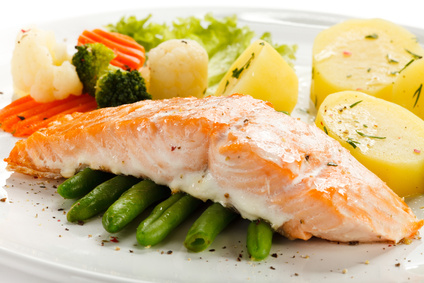 Although Lent is over, the U.S. Department of Health suggests that we should eat more seafood – at least 3-6 oz per week or more – and that seafood on shelves at local supermarkets is safe to eat. In 2009, Americans ate 4.833 billions pound of it. Happy seafood shopping. 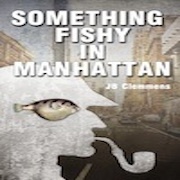 I almost forgot one more fish thing: Don’t eat fugu (blowfish) unless you have death wish or you could end up like the villian in my book, Something Fishy in Manhattan (It’s less expensive on Smashwords, here, than Amazon above). This entry was posted in Seafood, Uncategorized, Writing and tagged books, Dinner, Fish, Health, Seafood. Bookmark the permalink. What Time in the World Are You?